In 2017, as a result of the fruitful industrial partnership between SwissPerio and Hu-Friedy, a leading company in manufacturing dental instruments, the SwissPerio surgical instrument kit was introduced in the market. The complete kit consists of a surgical cassette and 18 instruments from which some have been completely newly designed. The matt black coating of each instrument increases the contrast between the surgical site and the instrument and helps to avoid the unfavourable glare under the high illumination of microscopes or loupes. The instrument design is based on latest findings on ergonomical research and allows – paired with refined working ends and balanced weight – working movements with highest accuracy. The SwissPerio instruments give you more control and precision not only in specific and delicate microsurgery procedures but in all periodontal and implant surgical interventions. The specific design and outstanding manufacturing tolerances make each single instrument a piece of jewelry. 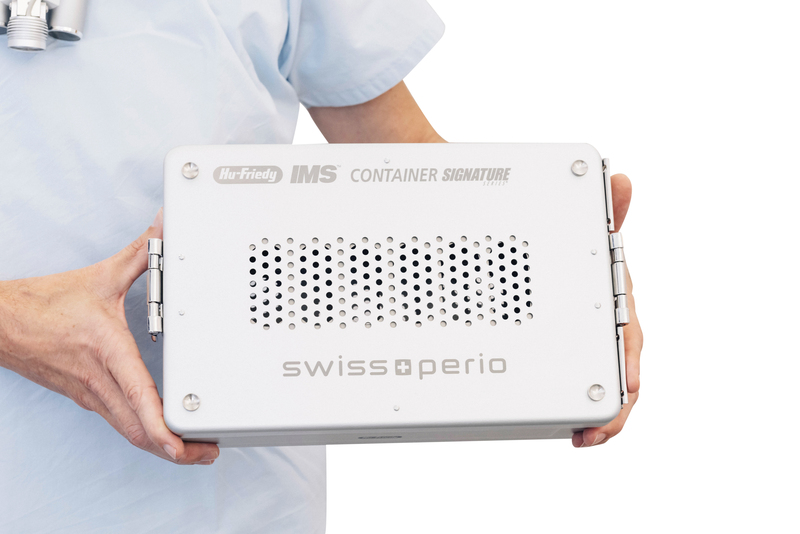 SwissPerio instruments for ultimate surgical performance!